The popular Agent Jane Blonde Slot returns with the name Agent Jane Blonde Returns. 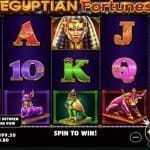 This is one of the most popular online slot games developed by Stormcraft Studios. 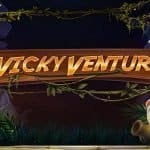 Stormcraft Studios is an iGaming company that creates online slots solely for Microgaming because it is owned by Microgaming. The original Agent Jane Blonde was created by Microgaming and it was one of the best slot machines that Microgaming produced ever. Agent Jane Blonde 2 is an awesome slot machine that has a stunning graphics and a great soundtrack. This slot is of a 5×3 reel machine with 15 paylines. 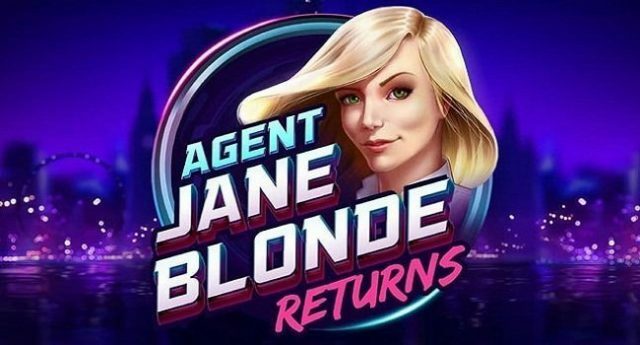 The Agent Jane Blonde Returns slot is all about spies that contain stacked wilds and a respin feature. You can play this slot using coin sizes of £0.05 to ‎£400 per spin on your mobile phones, tablets or at personal computers. The RTP of this game stands 96.45% which is nice. The character ‘Jane’ was the wild symbol in the original game while she returns with a super-stacked wild symbol in this new version of game. Land 5 of the ‘Jane’ wild symbols on your screen and you will be rewarded 10000 coins on your stake. 3 or more of the scatters will activate or trigger the free spins bonus where you could receive 15 free spins plus multipliers of up to 3x. 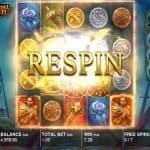 You will also have the reel respin in this game. The original Agent Jane Blonde slot powered by Microgaming was released back in 2016 and after almost 15 years the new version of this marvelous spy based Agent Jane Blonde Returns slot is developed by Stormcraft Studios. Agent Jane Blonde 2 is the only second online slot game from the house of Stormcraft. This game is value for money and real money players like you can take your chances with this game.